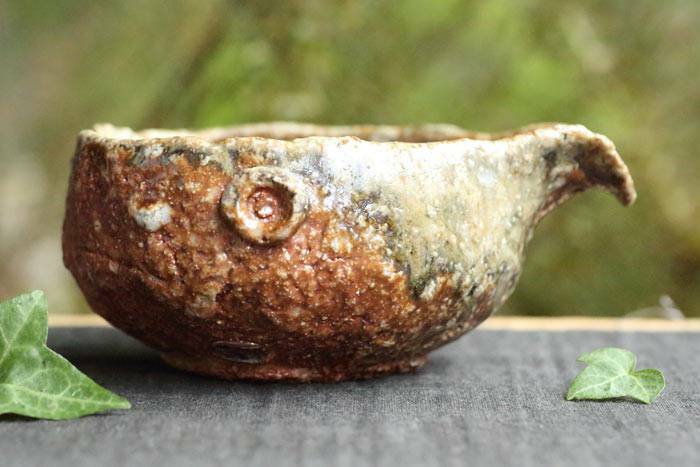 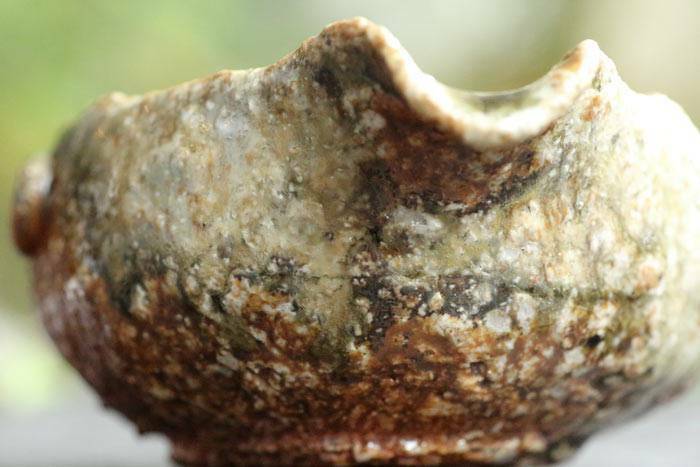 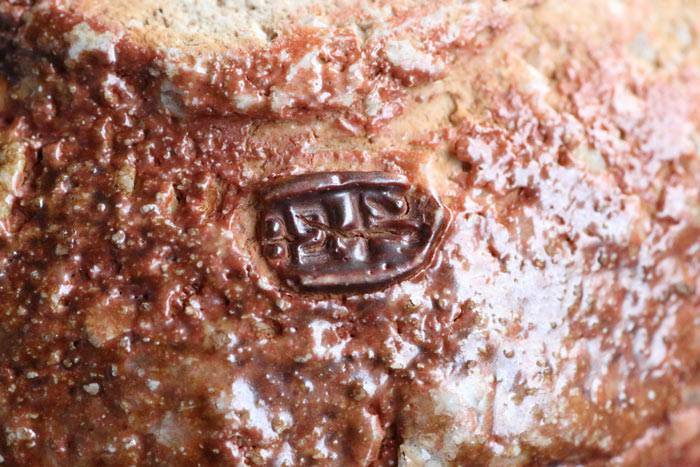 Chūza Onishi is among the foremost producers of Shigaraki-yaki, or Shigaraki-ware. 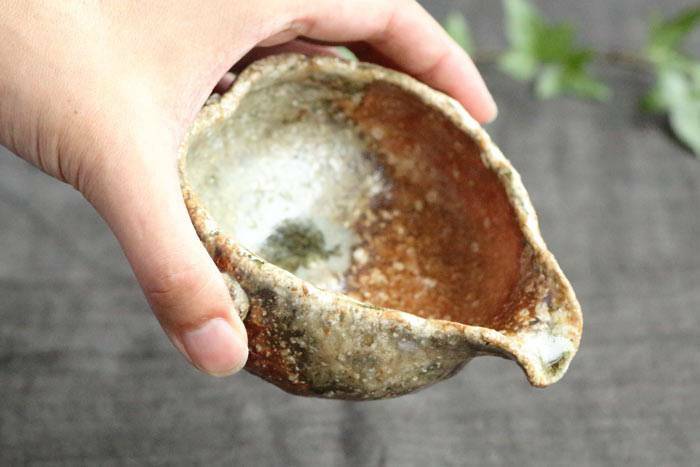 In 1990, he was designated the first official Preserver of the Intangible Cultural Property that is Shigaraki-ware in Shigaraki, Shiga Prefecture, the tradition’s hometown. 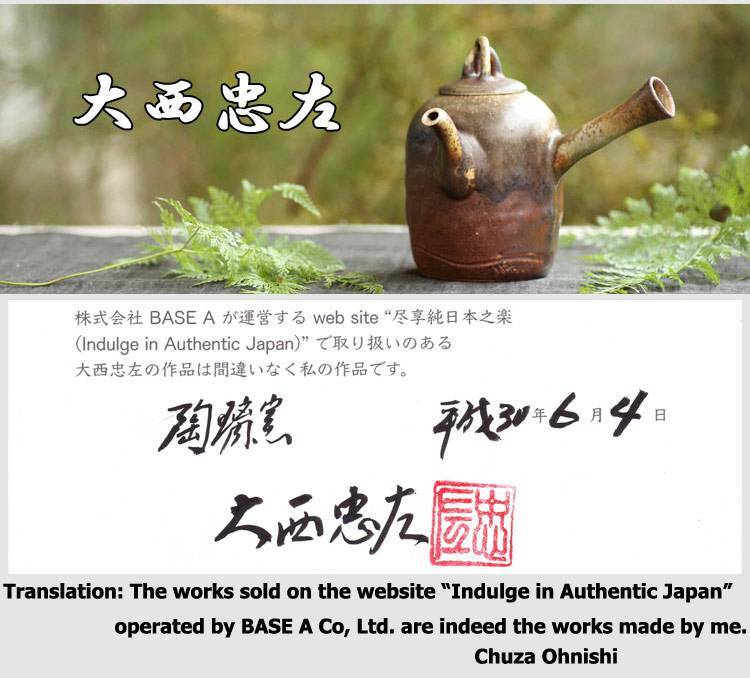 In 2004, when Shigaraki was merged with the city of Koka, Onishi’s title changed to the first official Preserver of Shigaraki-ware for Koka City, as it remains to this day. 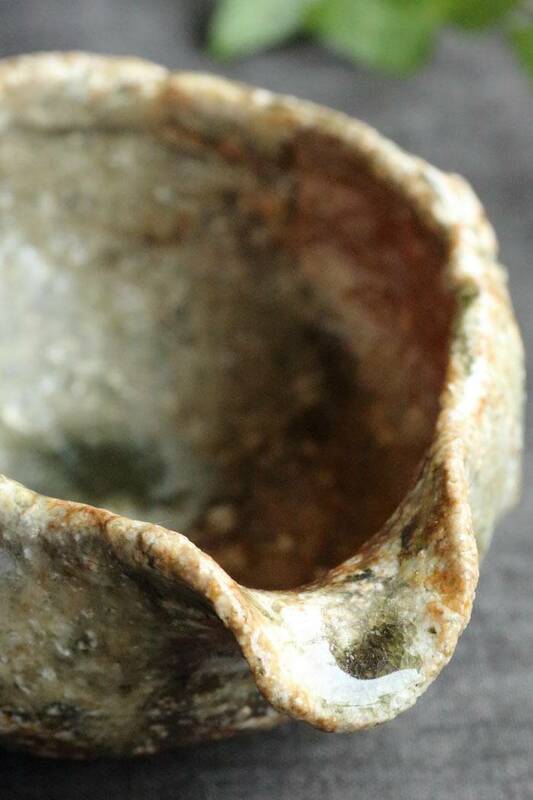 Onishi’s name may not be one that is nationally recognized in Japan, as he has held only one solo exhibition – in Shigaraki, at that – and has rarely entered open exhibitions. 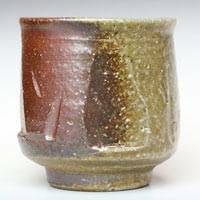 But while he may not be one to seek recognition through prizes, Onishi is fully devoted to the work of crafting ceramics. 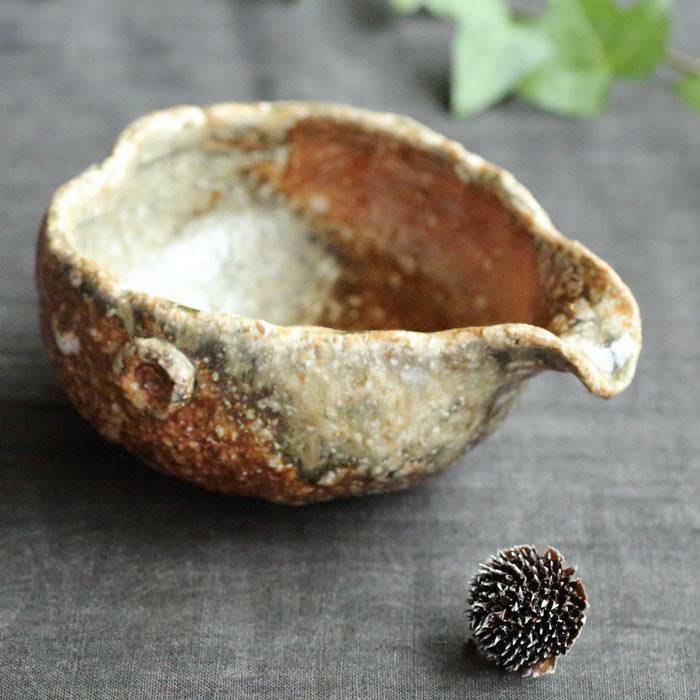 His technical skills and powers of artistic expression put him miles ahead of the pack, and it is no hyperbole to call him one of the premier teaware artisans in Japan today. 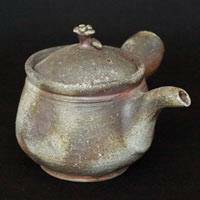 Onishi has single-mindedly pursued the full range of what teaware, as a genre, has to offer, experimenting with a wide variety of forms, sizes and firing methods. 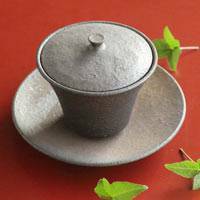 His pots are perfectly crafted tools for pouring tea: their lids fit on perfectly, and their spouts are perfectly formed to ensure they will not drip tea after a pour. 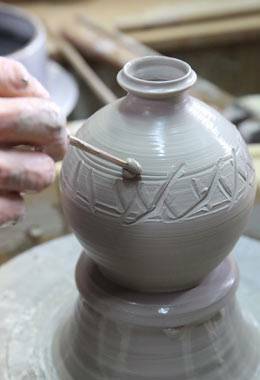 Even when simply left on display, the pots command attention, so advanced is their artistry. 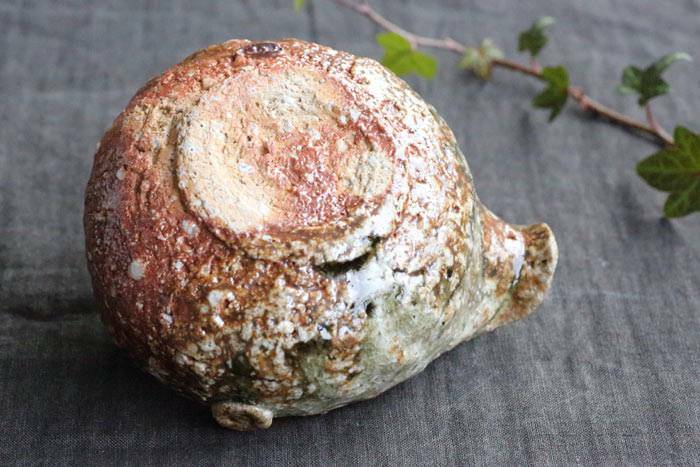 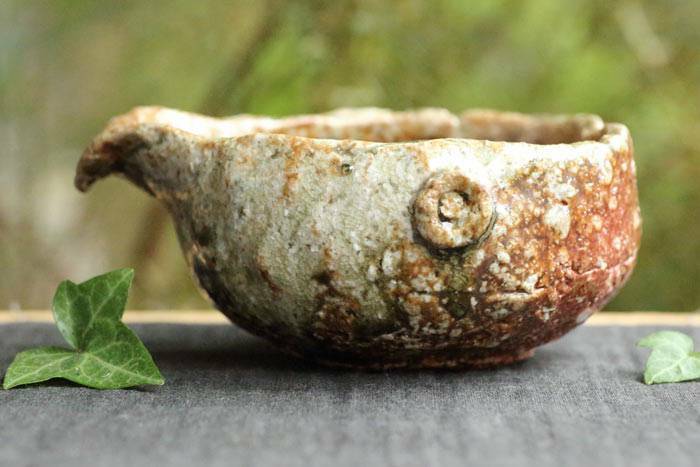 The beautiful singed patina that emerges on Onishi’s wood-fired teapots is of particular note, both for its visual splendor and the skill and thoroughness with which it is created. 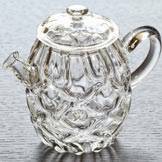 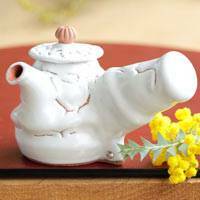 Ordinarily, teapots are fired with their lids on. 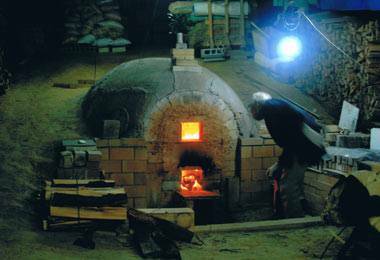 But Onishi fires the two separately, carefully accounting for how each will change shape in the kiln. 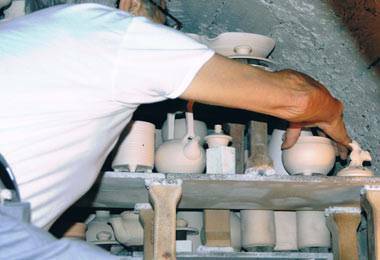 This enables Onishi to create unique and beautiful patterns on the rims of his pots, where the lids will rest. 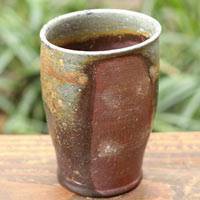 “If kiln ash lands on the rim and creates a beautiful pattern, a pot is worth more. 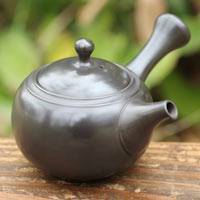 At the same time, it’s no good if a pot or lid warps a little. 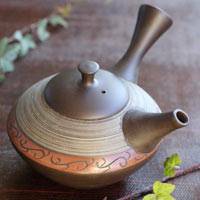 If my lids and pots ultimately do fit well together, it’s because the gods have rewarded my hard work,” Onishi laughs. 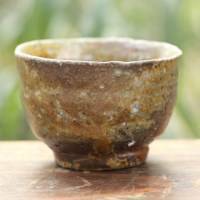 Onishi was born in 1926 to a family of farmers in the Chokushi section of Shigaraki. 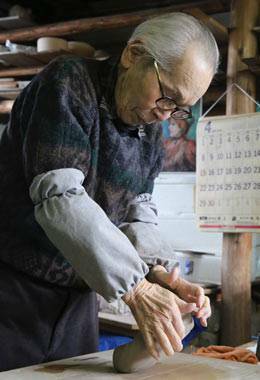 He completed only a primary school education before moving to Osaka to work at an electronics company winding wire coils for motors. 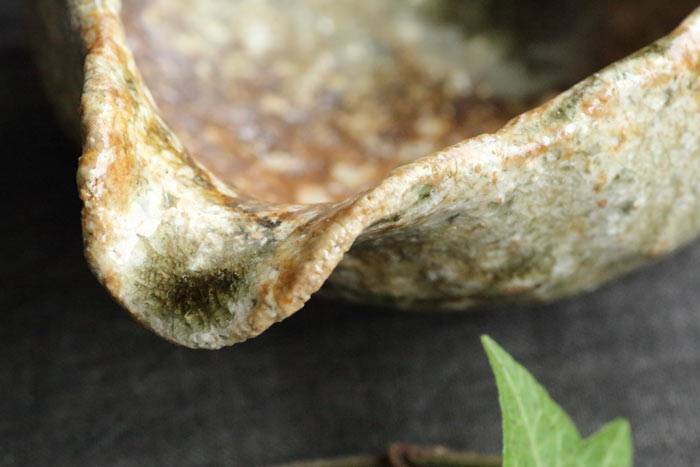 The motors that Onishi made gained a reputation among clients for their long lifespans – a function of how skillfully and neatly wound their coils were. 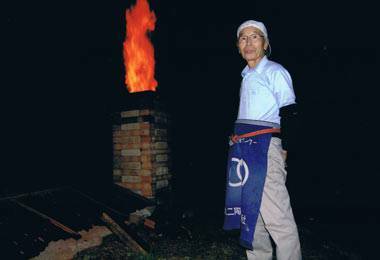 When war broke out, Onishi qualified for conscription as an officer, based on his skills. 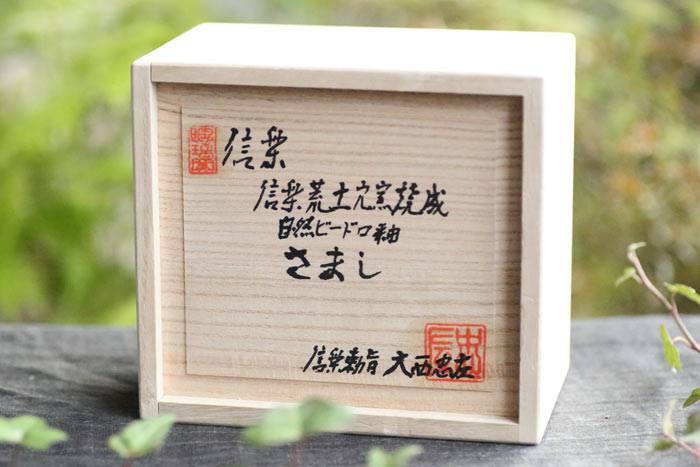 But his draft papers never arrived – an extremely rare occurrence. 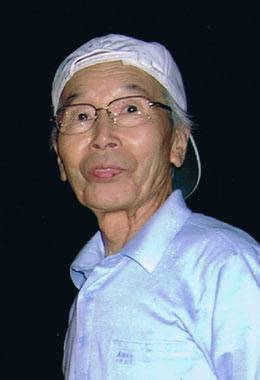 He learned afterward that his superiors had repeatedly sought deferments on his behalf, fearing that the company would be in a tough spot without the skill that Onishi brought his work and the caring attitude he took toward his subordinates – a testament to both his work habits and his personality. 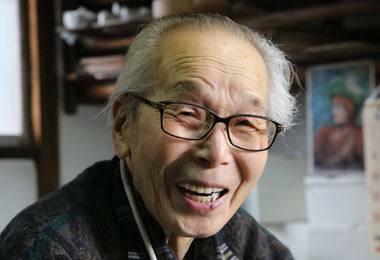 After the war, Onishi returned to Shigaraki, where he worked re-winding motors for electric pottery wheels. 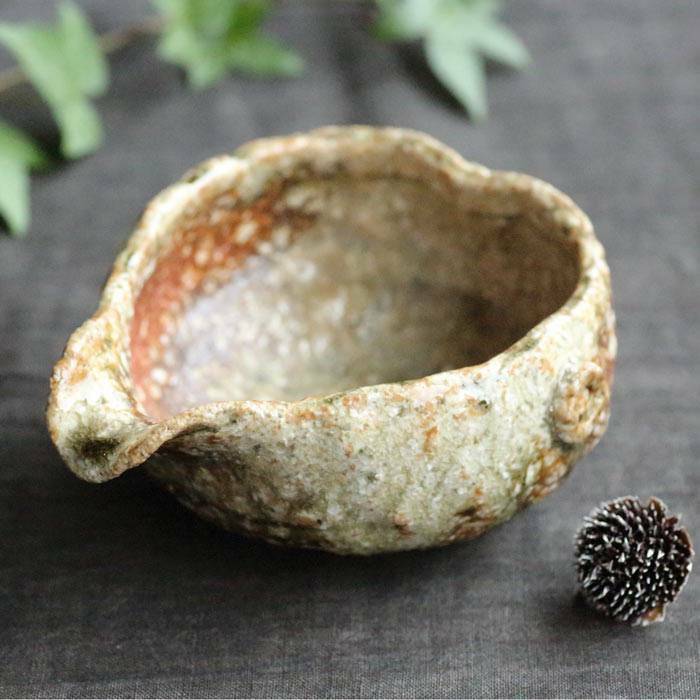 In 1947, when he was 21, he began attending a prefectural school for Shigaraki-ware at the urging of his father, who feared that Chokushi’s pottery tradition would end without an heir to take it over. 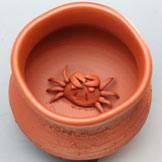 He later completed his education at a studio in Kyoto affiliated with the National Ceramic Experimental Institute. 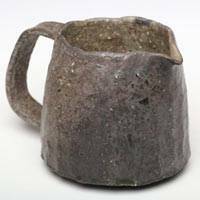 Though he initially had no inclination to become a ceramics artisan, the two years he spent learning all about the process of making pottery – from the formation of pieces to glaze work, pattern-drawing and engraving – ignited in him a natural interest in the craft. 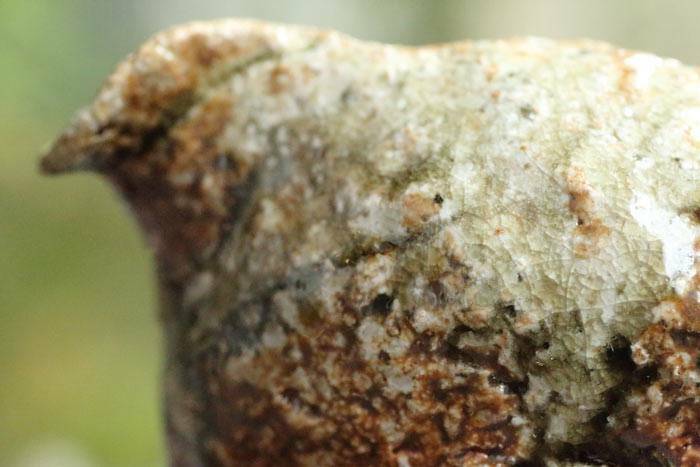 He decided at that point to make his life in the field. 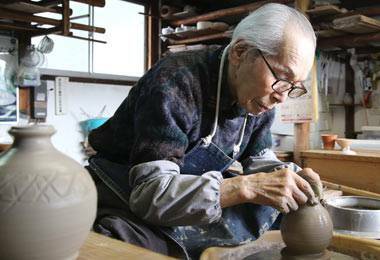 At age 23 – in 1949 – he apprenticed himself to Genzo Onishi, under whom he refined his skill at working with a pottery wheel. 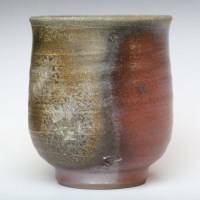 At 27, in 1953, he set out on his own, working with a traditional type of high-volume kiln, known as a nobori-gama, borrowed from another artisan. 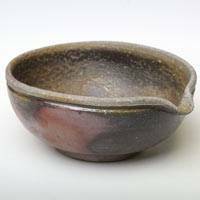 Shigaraki-style hibachis were in vogue at the time, and over the course of 10 years, Onishi fired roughly 100 batches of pottery, allowing him to learn all about working with wood-fired kilns. 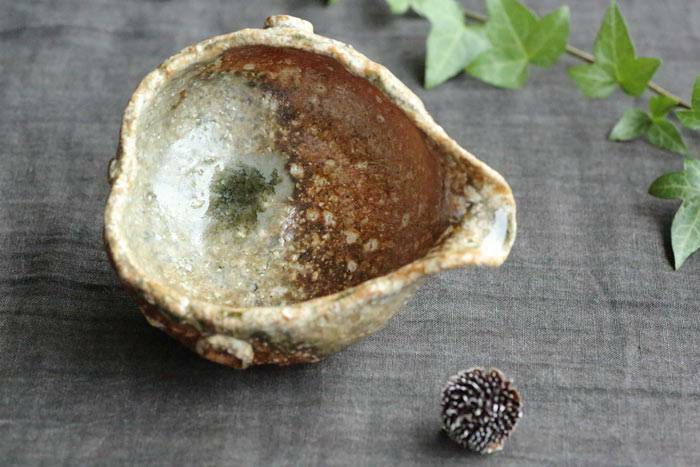 This experience is the foundation of Onishi’s present-day mastery of wood-fired pieces. 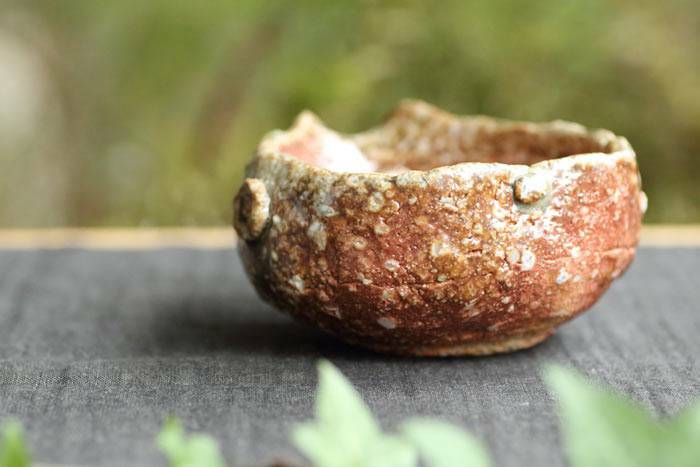 After that, Onishi spent time studying various teaware traditions from around the world, exploring the various possibilities such pieces had to offer. 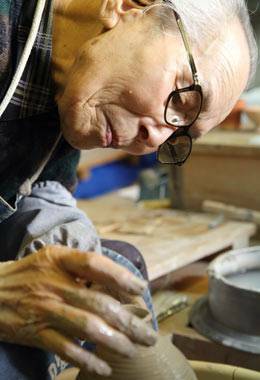 Onishi has now spent over 60 years working as a ceramics artisan. 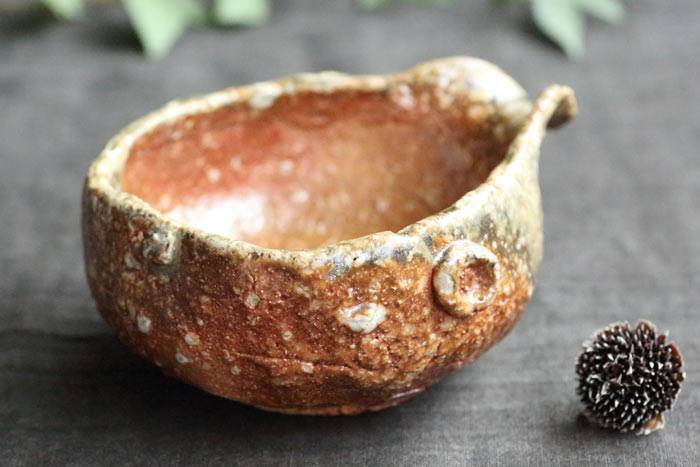 He is almost universally known in his hometown of Shigaraki, and nearly all of his pieces have been received warmly by followers in the area. 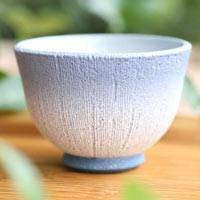 New Onishi pieces are almost impossible to find on the market. 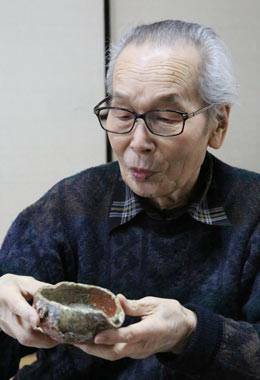 To hear the artist speak in December 2018, at the age of 92, of his success as a “reward from the gods” for hard work warms the heart, given how immense those efforts have been.